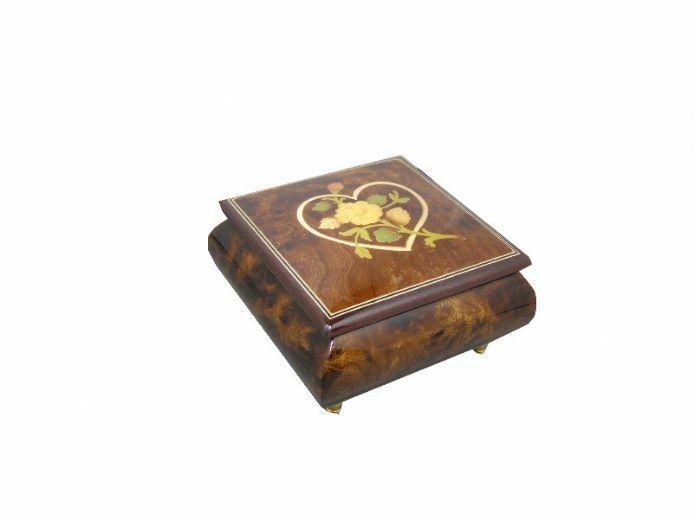 This beautiful musical jewellery or ring box from The Music Box Shop, is fitted with an 18 note musical movement. The music box is wound from underneath. When you lift the lid the music plays. 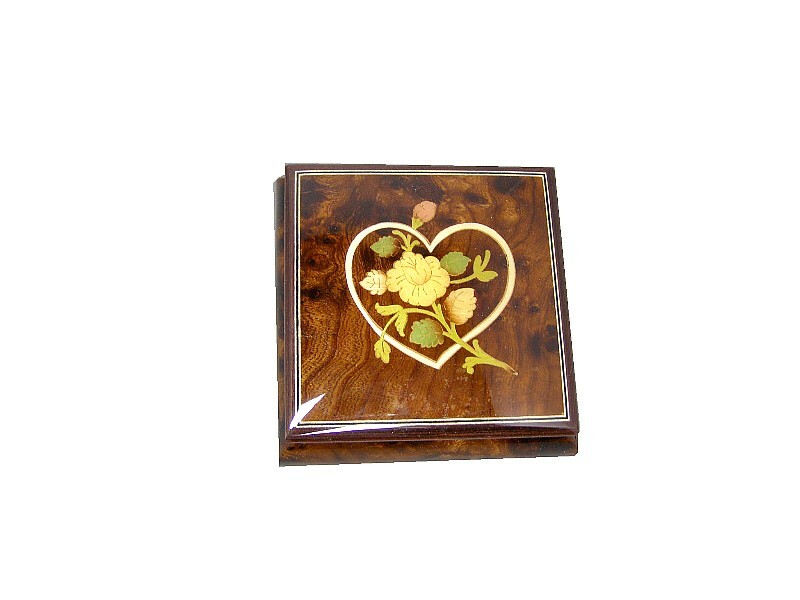 The box is in a natural veneer and inlaid with a heart and flower design. 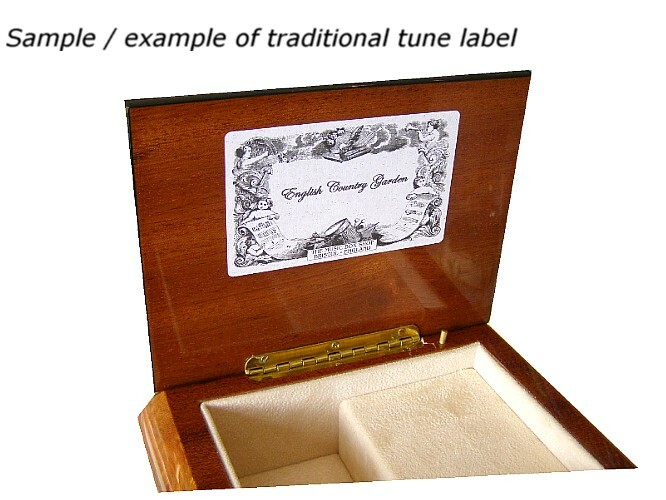 The inner lining over the musical movement is removable, to reveal a plexy cover leaving the music mechanism visable. 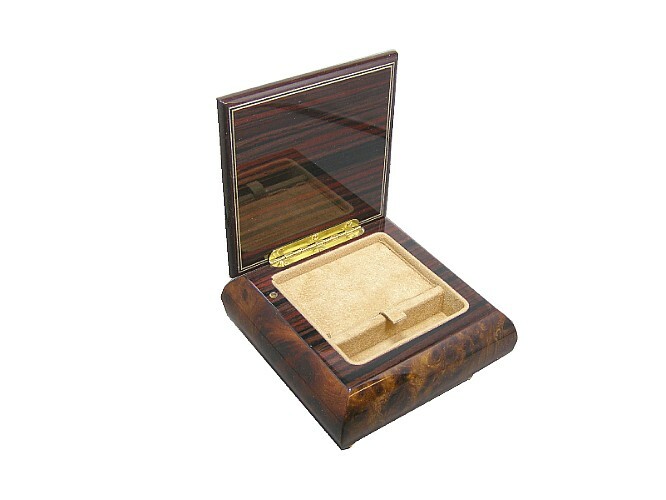 This music box is lined in a deep red (burgundy) velvet. 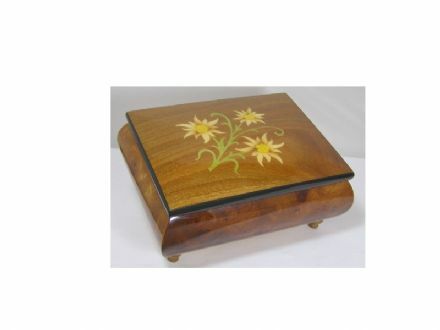 Approx Size : 112mm x 112mm x 65mm.